This method will have you strumming along with your favorite folk songs in no time! 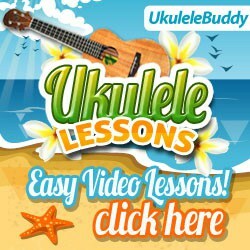 With the Play Ukulele NOW method you will easily learn the basics of music theory without even knowing it! You will easily learn how and why chords work together, you will learn lots of great rhythms and understand how to create your own and you will have lot's of great songs to play! In most methods they give you a pile of chords, or randomly present chords, and they don't really tell you how the chords work together. The student is then confused, can't play anything, and quickly gets discouraged. It's very important, when teaching chords, that the student understands why they work together, and that they know some of the very basic theory behind why they chords work together. It's also very important to present chords in groups and to work on, master and understand those chords before moving on. With the understanding of chords that the student will gain they will be able to create their own chord progressions that sound great! Rather than presenting on simple rhythm, rhythms are resented along with quite a few variations providing the student plenty to work on. Each time a rhythm is presented, some of the basic theory used to create the rhythm will be clearly outlined as well. This allows the student to fully understand how the rhythms work and gives them the ability to create more rhythms on their own. ✔ You get a songbook too! All the songs in this book are arranged for use with the chord and rhythm studies! You get 30 great songs arranged for this method! Wow! 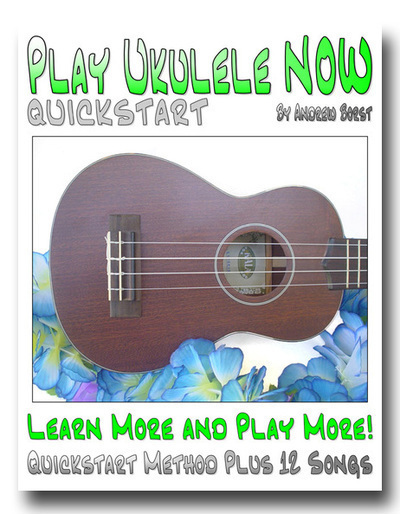 This title, Play Ukulele Now, says it all. Andrew’s easy to understand and systematic approach to playing will have the beginner playing in know time at all. He systematically walks you through a series of strumming skills that has you playing and singing like a seasoned professional. 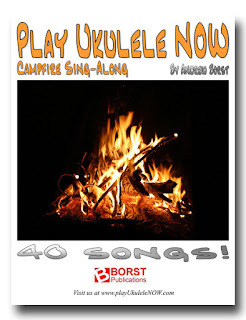 Not only is it a method book on strumming but a songbook with 30 popular folk songs. Every ukulele player and teacher needs to have this gem in his or her library. Uke on Andrew! The Play Ukulele Now Method and Songbook has the most comprehensive rhythm studies I've ever seen. I finally understand rhythm and strumming and my friends are really impressed with how well I can play the ukulele now. 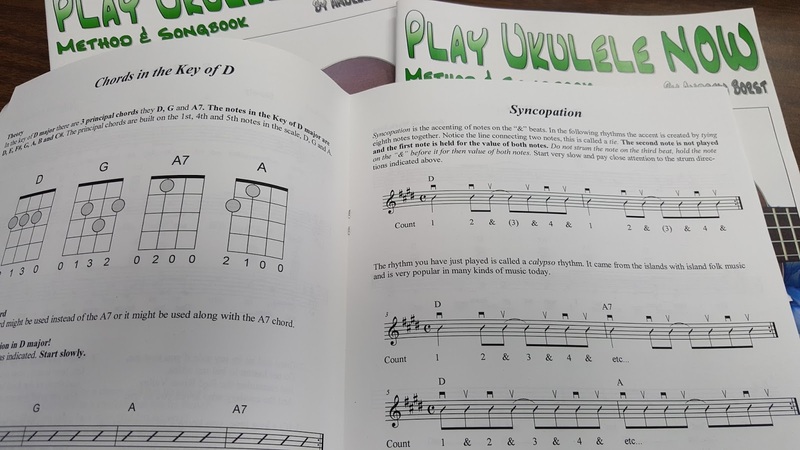 Finally a ukulele book I can use for my students that has comprehensive graduated rhythm studies, lot's of great songs and teaches some basic theory. I love how the principal chords in each key are presented together, rather than presenting chords randomly like other methods do. Here's what you'll get for songs! All your favorites are here, as well as a few you haven't been able to find. Amazing Grace, Big Rock Candy Mountain, Bile Them Cabbage Down, Billy Barlow, Caissons Song, Cindy, Clementine, Crawdad, Down in the Valley, Drunken Sailor, Erie Canal, Goober Peas, Go Tell Aunt Rhody, Gypsy Rover, Hangman, Hangman, He’s Got the Whole World In His Hands, Home On the Range, Hush Little Baby, I've Been Working on the Railroad, John Brown’s Body, Kumbya, Mamma Don’t Allow, Man of Constant Sorrow, The Marine’s Hymn, Midnight Special, Michael Row Your Boat Ashore, Oh, Susanna, Old Dan Tucker, Old Joe Clark, On Top of Old Smokey, Polly-Wally-Doodle, Ratlin’ Bog, Red River Valley, She’ll Be Comin’ Round the Mountain, Shenandoah, Skip to my Lou, Streets of Laredo, Wabash Cannon Ball, When the Saints Go Marching In, Whiskey in a Jar. Just the first 24 pages of the Play Ukulele NOW Method and songbook - Just enough to get started!